Are you really sure you want to play dress up? ... because I have an idea for you, you know. No, it's ok, thank-you, Peaches! We don't have to play dress-up. I mean, I really don't want you to dress me up as a bunny-poop. So we'll forget that idea. Now, what can I scuttle and bring for you? Saaaaa-lad? Carrotinis? Scooter Snaps? I will try my best to Make It Snappeh! Sorry - I'm already "dressed up" This is as "dressed up" as a bunny slave can be. I also thought immediately, "She means poop. Something to do with poop. 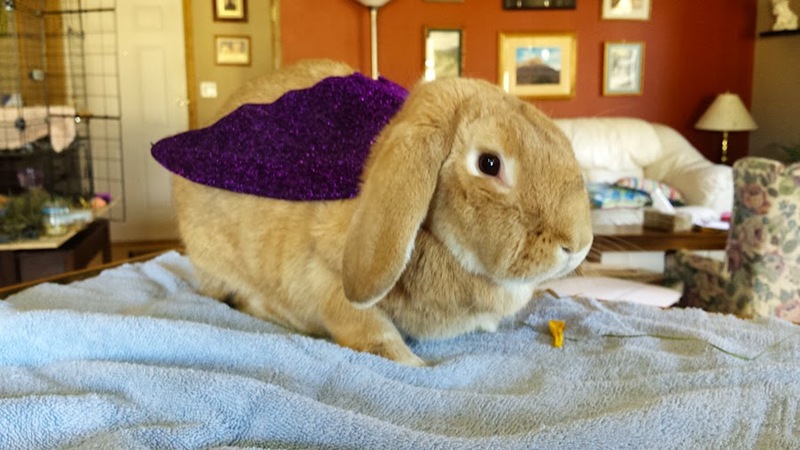 This person is in trouble, although as bun costumes go, it is unobtrusive."